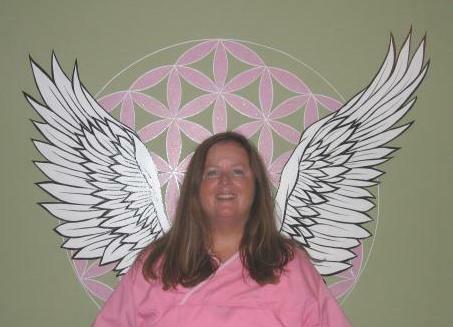 As an energy healer, Mary Lou is a vessel of pure love, light, & peace. Her strong connection with the Divine allows her to assist individuals in releasing obstacles such as fear, anger, depression, and illness. Working towards this transformation is a process which in turn brings true joy, happiness, health, & abundance back to the individual’s life. Mary Lou feels both honored and blessed to empower breast cancer patients through her work at the Healing Consciouness Foundation. All life is energy and it is Mary Lou's pleasure to support you in creating the energy changes that you want in your life. It is her soul’s mission to follow Divine Guidance to help bring heaven to earth through unity consciousness for all mankind, our world, and the universe. Copyright © 2010 Mary Lou Gilmour.